Everything in this universe, animate or inanimate, is made up of vibration or sound frequencies. From the chair you are sitting on, to planets spinning around suns in the galaxy to your own physical body and energy field, everything is in movement, everything is energy, everything is vibration. If it is in vibration, it is producing sound. 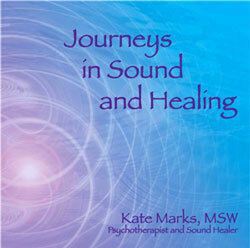 The ancient mystics have known for millennia about the power of vibration, energy and sound. Most of the world’s religions and spiritual traditions believe that sound is the most creative force in the universe; that the world was created through the power of sound and vibration. For example, the Bible opens with, “In the beginning was the Word and the Word was God.” The Hopi Indians believe in the story of Spider Woman, who created all forms on earth by singing over them. The name Nada Brahma in the Hindu tradition means both “Creator God” and “sound”. If sound can create all that exists in the universe, it follows that it also has the power to move and transform all that exists in the universe. It is only recently that our scientists are understanding and validating this knowledge; that we are not just matter, but movement of energy and vibrating atomic and sub atomic particles. Everything has a resonant frequency, its own unique natural frequency. Every part of our body has a resonant frequency. When we are healthy, we produce balanced frequencies that create a vibrant, harmonically attuned body/energy field, just like a well tuned symphony orchestra. But when we get out of balance, and fall into a state of dis-ease, our frequencies begin to vibrate differently and become dis-harmonious. We can “tune” ourselves through the intentional use of sound (instruments or the voice) by projecting more coherent resonant frequencies into the body part, energy field or chakra and bringing the vibration back to its balanced, inherent state of perfection, restoring health. The vibration of the human voice is considered the most powerful, creative, transformative force of all. The voice is the truest reflection of our inner health and well-being. It expresses the very essence of our nature. It is our life force, our breath with sound added to it. The tonal quality of our voice tells more about us then the words we speak. Our voices effect the cells and molecules of our body and can restore our innate harmony and divine blueprint. We are our own best instrument. Through our voice and a process called toning we can self generate our sounds and tune, transform and harmonize our being.